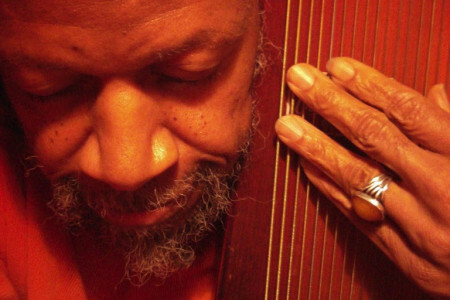 Recognized as a new age visionary sound artist, Laraaji performs new music with modified electric zither/harp, voice, kalimba, and electronics. The music tends toward celestial, trance inducing, uplifting. He is accompanied by longtime collaborator healing sound musician Arji OceAnanda, who shares her heart space through a variety of gentle percussion and electronic instruments. Laraaji’s classic 1979 album Day of Radiance, a Brian Eno-produced collaboration put him and his uniquely uplifting electric open-tuned zither on the global music stage. He tours annually performing at festivals, conferences, yoga centers and collaboration events. Arji OceAnanda has been collaborating in performances and laughter meditation workshops with Laraaji for many years. She moves healing energy through intuitive percussion and gentle synthesizer. ALSO: Laraaji and Arji will be giving a laughter and sound healing workshop at Seattle Sound Temple on Friday July 21 from 7-9 PM. Cost is $35. Purchase tickets here.